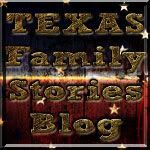 Stephen F. Austin was born in Virginia 3 Nov 1793 and after several unsuccessful ventures reluctantly followed his father to Texas. As Texans we are glad he fought his reluctance and, we are forever in his debt! The original grant that was issued to his father for colonization in Tejas was authorized by the Spanish government, and after Mexico won its independence from Spain, there were some questions/problems about the authorization. After a "quick" visit to Mexico City, Stephen F. Austin ironed out these problems.The original 300 families that Austin sponsored for his colony and issued grants to are now known as the "Old 300". 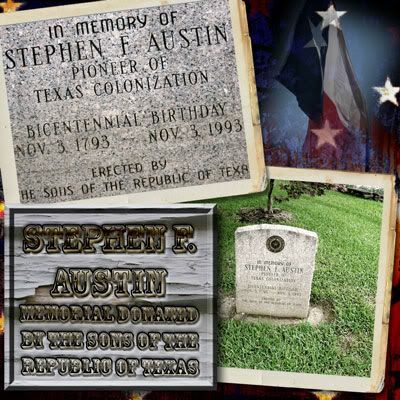 The below "SFA" design is of a memorial celebrating the birth of Austin, "The Pioneer of Texas Colonization" and is located in front of the Old Stone Fort on the Stephen F. Austin State University campus. 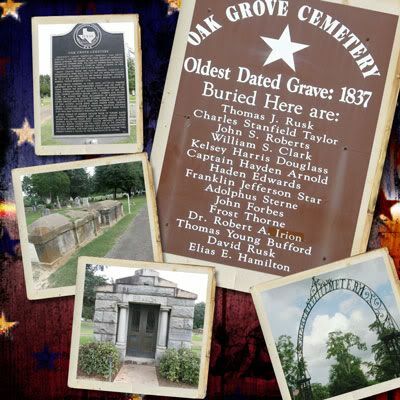 Oak Grove Cemetery is the "home" to 4 of the signers of the Declaration of Independence of the Republic of Texas and is a registered Texas landmark. 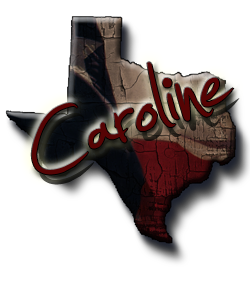 It is also "home" to many of the original settlers/families of Nacogdoches, Texas. This is an official Texas replica of the Stone Fort originally built by Antonio Gil Y'Barbo, a Spanish trader who led a group back to what is now Nacogdoches, Texas when they had been ordered out of the settlement by the Spanish government due to the costliness of running the settlement. It was re-settled and Y'Barbo was its first Lt. Governor. The Stone Fort was used for Y'Barbo's trading business. Interestingly, in the past it's housed a commercial building and saloon. 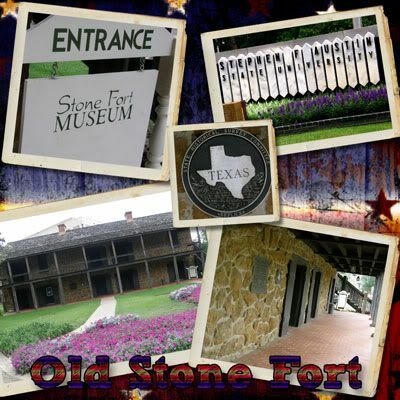 Today it serves as a museum of Nacogdoches' history located on the campus of Stephen F. Austin State University.